I speak with Karin C. Davidson about short stories, family, and words we don't have in English in Newfound Journal. The stories in Repairable Men look at the small towns and rural farms where families stay for generations and newcomers never quite feel at home. Whether trapped by dead-end work, hostile relatives, or the troubling legacies of their forebears, John Carr Walker’s characters are seeking escape, forgiveness, and redemption in the dusty corners of the new American West. 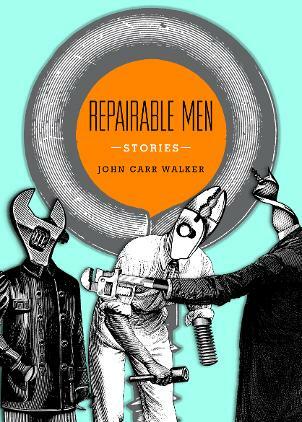 John Carr Walker exposes his characters' inner lives with stunning surgical precision. The stories in Repairable Men are sharp and terse, stories from an expert teller of tales that cut close to the bone and leave us wanting the next, and the next, and, yes, please, the next. John Carr Walker’s taut, rhythmic prose holds us steady as the danger rises. Here is a young writer to watch: he carries a rich geography in his blood and bones, and the talent to make it burn fiercely on the page. John Carr Walker is the real deal. Whether he’s writing about a raisin farmer wondering what it is he’s truly inherited, or a father and son trying to understand not only each other, but themselves, he is writing about all of us.